The Evangelical Lutheran Church in America is a mainline Protestant denomination headquartered in Chicago, Ill. The ELCA officially came into existence on January 1, 1988, by the merger of three Lutheran church bodies: the American Lutheran Church, the Association of Evangelical Lutheran Churches and the Lutheran Church in America. The ELCA is a church of more than 4 million members who actively participate in God’s work in the world. We believe that we are freed in Christ to serve and love our neighbor. We live in many different communities, span all ages, cultures, and races and bring to this church unique life experiences and perspectives. We confess the Triune God — Father, Son, and Holy Spirit. We proclaim Jesus Christ as Lord and Savior. In our preaching and teaching, the ELCA trusts the Gospel as the power of God for the salvation of all who believe. Our presiding bishop is the Rev. Elizabeth A. Eaton. Bishop Eaton was elected as the ELCA’s fourth presiding bishop at the 2013 ELCA Churchwide Assembly. 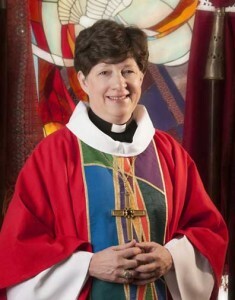 Read more about the ELCA’s Presiding Bishop at ELCA.org. Read Statements from the Presiding Bishop in the ELCA News feed on this page or download PDF versions from this page. Updated News, Announcements and Statements can be found on the ELCA Recent News page. An Equipping Church, equipping people for their baptismal vocations in the world and this church. An Inviting and Welcoming Church, that reflects and embraces the diversity of our communities and the gifts and opportunities that diversity brings. A Visible Deeply Committed Church, working ecumenically and with other people of faith for justice, peace and reconciliation in communities and around the world.